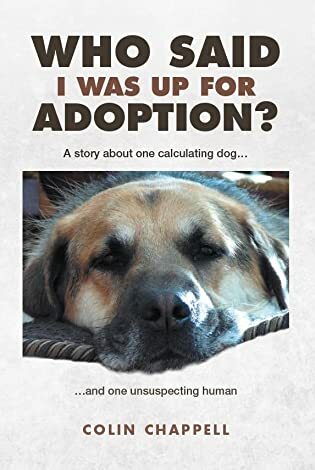 As a first time author (“Who Said I was up for Adoption? – A story about one calculating dog… and one unsuspecting human.”), I am only too well aware of the fact that, while a name like J.K. Rowling creates wonderful opportunities from numerous publishers, Colin Chappell does not have the same impact! The name J.K. Rowling would generate offers that would probably cost her nothing, and would include a huge world-wide marketing strategy in which probably her only obligation would be to participate. Authors, such as myself, will generally have to pay to get a book created and made available for sale. Authors such as myself will also be doing our own marketing. There is nothing unfair or magical about the totally contrasting situations It is pure and simple – business! A book by J.K. Rowling is a virtually guaranteed business success. A book by me? With this context in mind, I was recently approached by Paul Handover with the offer to review my book, but in return he would like me to review his book! It was a very easy offer to accept because we both get the benefit of some additional publicity, and both books have a dog as the driving force for the book! I received his book “Learning from Dogs. (Innate wisdom from Man’s Best Friend”) the other day, and have just finished it… and what a surprise it was! My review will be here tomorrow! Can’t wait to see the review. We 💞 Paul and his blog. Always enjoy hearing about good books to read. Hello again, Colin and Ray! Just a note to tell you that I ordered your book for my daughter’s birthday ( Harley’s Mom). I’m sure you are aware that your book was rated 5 stars by the readers on Amazon. I will read it too, but Heidi first. I’m glad that you are still promoting your book, keep it up! Your thoughtful words of wisdom will inspire other authors too. Ray is a superstar canine as far as I’m concerned. As a soon to be published, first-time author (paying for everything, and marketing until I pass out); I understand you, completely. Good luck with your book. I have a loyal canine, and your title sounds intriguing.